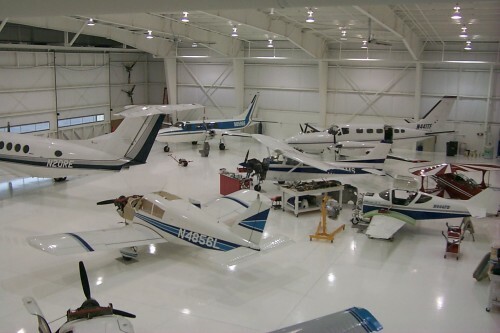 Just walk into our hanger and you will notice that this in not your typical maintenance facility. The standard we set for ourselves, and the care we put into your aircraft sets us apart. At Corporate Air Center, we are proud of the quality and experience of our maintenance shop. With over 150 years of combined experience in all type of aircraft, from single engine to corporate jets, and helicopters, our maintenance staff can solve your problems, and meet your needs. 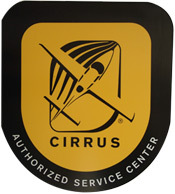 As a certified service center for Cirrus aircraft and Robinson helicopters, we are able to provide exclusive service to those owners as well as a variety of corporate turbine and jet aircraft. This is because we have made a commitment to ensure our mechanics are fully trained at factory schools. We are also partnered with many of the big names in the aviation service industry, such as Dallas Airmotive, Eagle aircraft engines, and Ram aircraft. Service is what we are all about. If we give you a date when your aircraft will be done, we will do everything within our control to make it happen. You will get your aircraft on time and in better condition then you brought it in. We can in many cases even deliver your aircraft back home to you when it’s completed. Contact our Director of Maintenance, Gary Ehrheart, today and learn more about this complementary service, and see what Corporate Air Center can do for you.